DEVONsphere doesn't see applications and preferences hang. 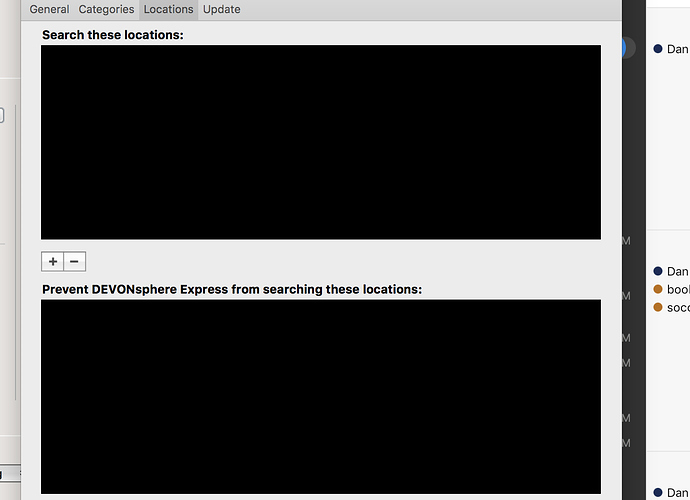 I’m attempting to use DEVONsphere as a replacement to Spotlight, but it doesn’t return applications in the search. Is this not possible? My index is up to date and locations include my applications folders, but I notice there is no Applications option listed in the categories. My DEVONsphere Express preference have frozen several times today. This was after updating to Sierra 10.12.4. I don’t think I had any freezes prior to this update. Here’s a screenshot. Does this persist after rebooting your machine? 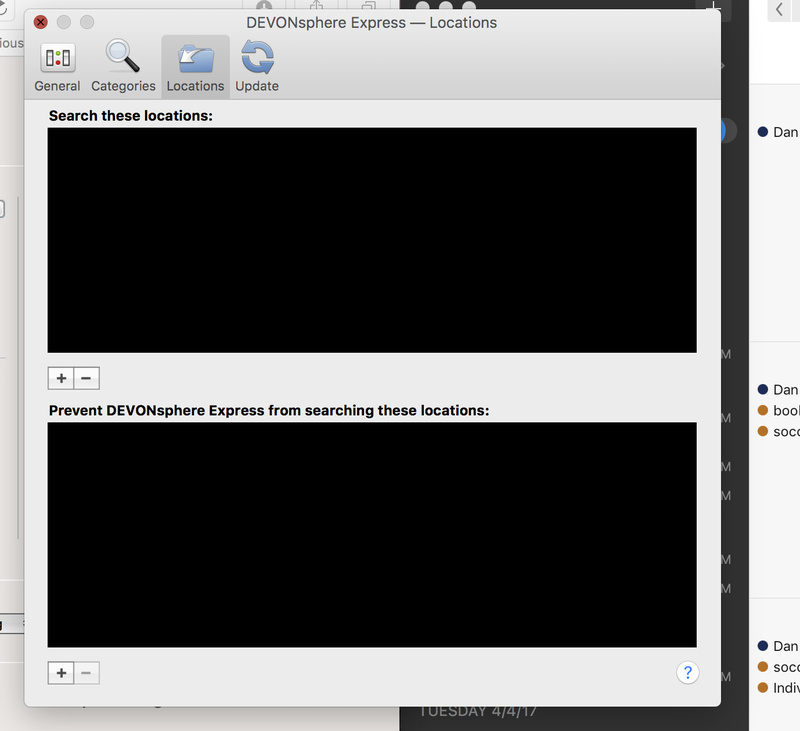 And no, DEVONsphere is not indexing applications. I have not been able to reproduce the preferences hang after trying for a couple of days. Please consider allowing applications to be found in DEVONsphere search. I love the way it categorizes and allows quick filtering in search returns, but have grown very used to opening apps using Spotlight. Unless I’m missing something, app launching is the only thing missing in your far superior search engine. Noted, with no promises, of course. Cheers!